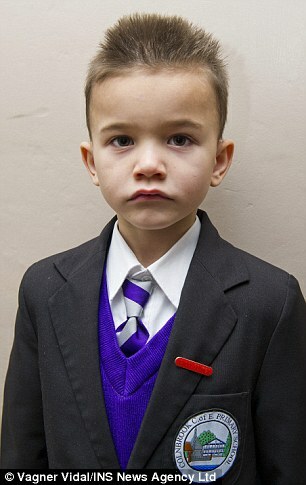 After a meeting with headmaster Jeremy Meek, they were sent a letter telling them Riley would be excluded from Wednesday until Monday because he had been ‘continuously breaking school rules’. 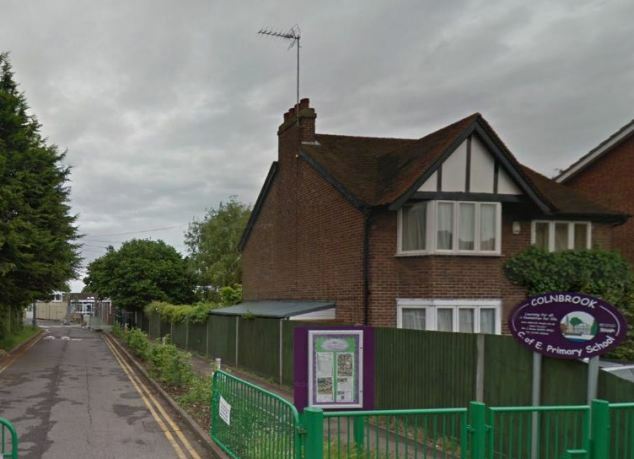 The school, which was placed in special measures after Ofsted inspectors deemed it ‘inadequate’ in 2012, introduced a healthy eating policy at the start of term. A letter was sent to parents saying that from 14 January, packed lunches should be ‘healthy and balanced’. Parents were told: ‘Chocolate, sweets, crisps and fizzy drinks are not allowed. Today Riley’s mother, airport shuttle worker Natalie Mardle, 24, said: ‘We just do not see how they have the right to tell us what we can feed our son. Miss Mardle, who is expecting her fourth child, added: ‘Having a balanced diet also includes eating some carbohydrates, sugars and fats. 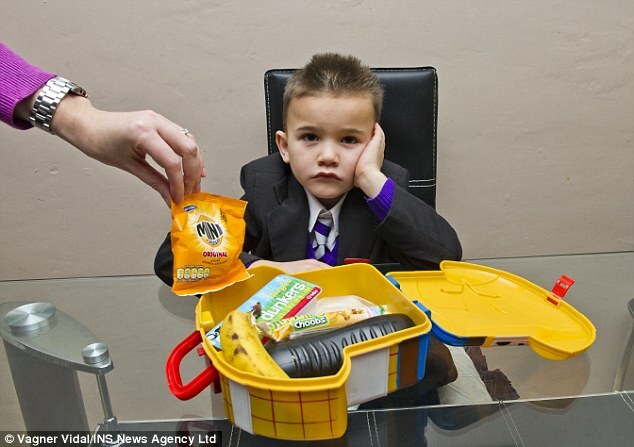 Riley’s lunchbox usually contains a sandwich, yoghurt tube, Dairylea Dunkers cheese spread snack, and a packet of Mini Cheddars, with water to drink. His mother, who lives with his father, airport worker Tom Pearson, said the 3ft 9ins tall schoolboy who weighs 3st 2lbs, eats home-cooked meals and plenty of fruit and vegetables at home. Miss Mardle said: ‘I would understand the exclusion if he was constantly throwing tables around or bullying other children, but it is just ridiculous for a packet of Mini Cheddars. Riley’s parents, who both work at nearby Heathrow Airport, will be attending a meeting with the head on Tuesday to learn whether their son can return to the 290-pupil school. He said: ‘We have had a wonderful response and the parents and children are on board and pleased with the way the policy has been impacted on our pupils. ‘We cannot talk about individual circumstances, but there is one family who are not prepared to support the policy. ‘We are in discussions with them about how we move it forward. We have excluded [the pupil] for four days due to lack of support for the policy.